If you’ve ever wondered how the Instagram stars manage to get a clean white background on their photos when yours are a muddy shade of grey, here are four steps to take your photos from shabby to Scandi. 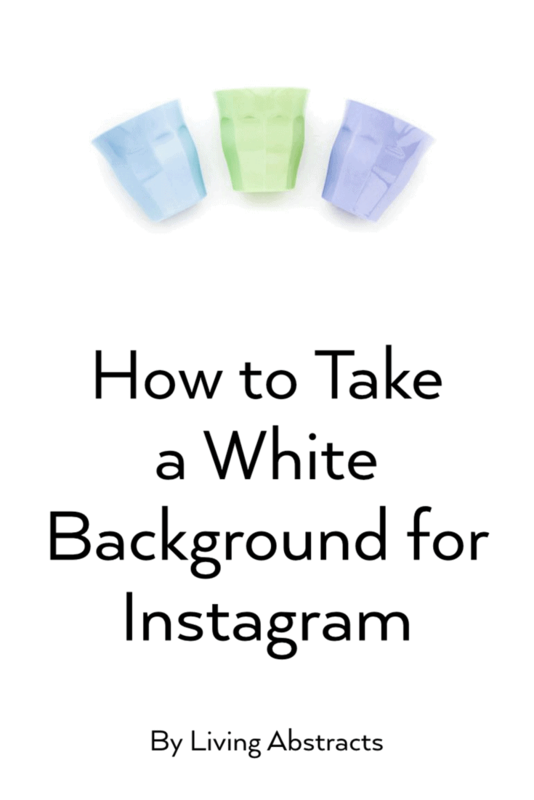 To make a background white for Instagram, the most important thing to know that your phone camera has automatic settings for exposure. It chooses how light or dark to make your photo. And that works well most of the time. But when your photo has a large light or white area, it will try to make it darker i.e. grey (if you want to know why, this article explains it well). So you can blame science for your grey photos – it’s not your fault. The good news is you can override your phone camera’s auto settings. You do this by touching the screen while taking your photo. A yellow box with a sun on the side should appear. Simply slide your finger along the sun side of the square to increase light in your photo – and no more grey! Your light source is important in getting clean white backgrounds. Where possible, use natural, indirect light from a window or glass door. This may mean timing your photos for when the sun is out and taking over a piece of floor or kitchen table in a good location. If there is too much light or it is too direct, sheer curtains can work wonders to diffuse and lessen the light. To remove shadows, you can reflect light into the shadows using white cardboard or a shop-bought reflector. Just move the board or reflector around so that it bounces light from the window into the shadow. Light will look different colours in our photos depending on its temperature. Photos taken by candlelight for instance, will look much yellower than ones taken with a flash. It’s one of the main reasons for taking your photos during the day using window light – for neutral whites. But if you haven’t been able to take your photos in those perfect conditions – and all of us have been there – some apps will help you correct that. VSCO (a free app for iPhones and android) has a temperature adjustment to cool or warm your photos. Filterstorm (iPhone only) has white balance adjustments, as does Snapseed (iPhone and android) in its tune image/warmth adjustments. The final step in how to make a background white is your retouching and adjustments. VSCO and Filterstorm both have great options. VSCO is probably the easier of the two to use, with a full range of setting adjustments and filters. 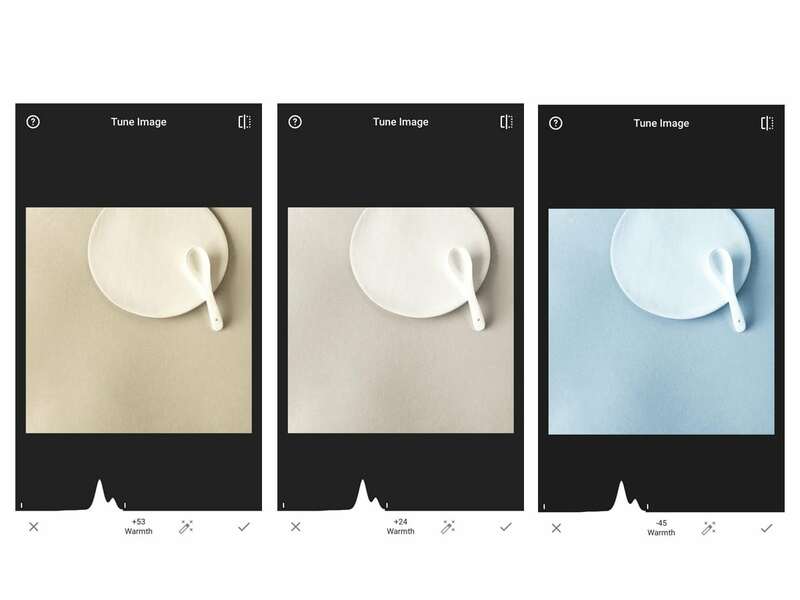 One of my favourite filters is the S Bright and Clean paid series – great for clean whites! 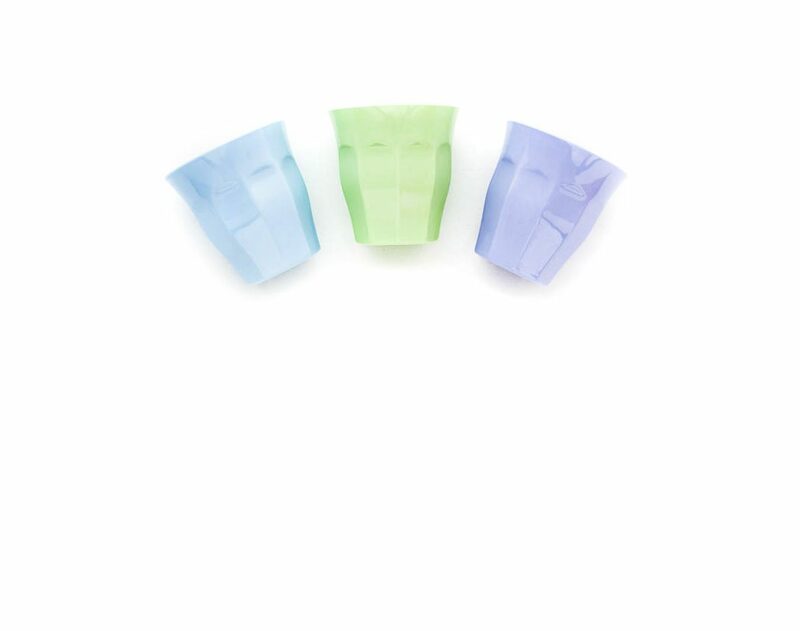 Filterstorm has more sophisticated options such as curves, levels and layers. It is ideal if you’re used to Photoshop on your desktop or want total control over your Instagram photos. When you’ve finished your adjustments, the last touch is to add a small amount of sharpening in either VSCO or Filterstorm. It helps your Instagram photos stand out in a busy feed. 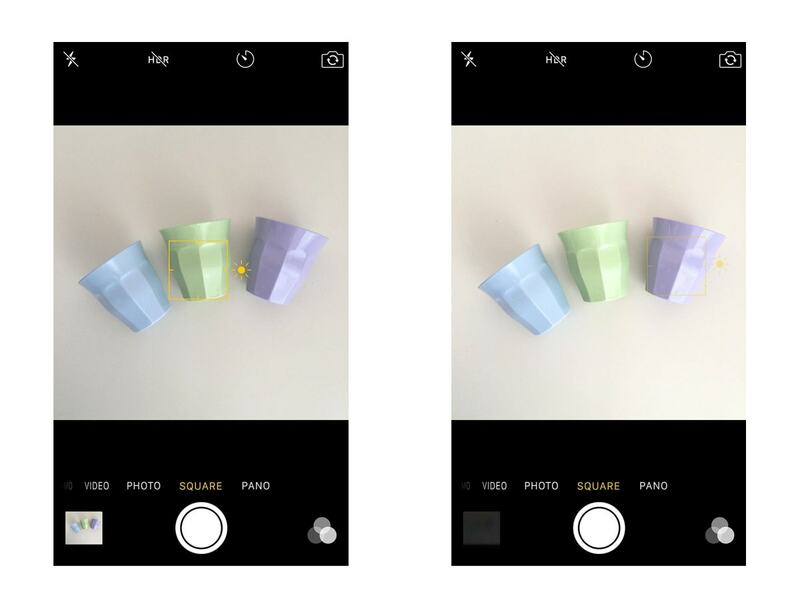 So there you have it – how to make a background white for Instagram in four easy steps. I hope this makes your Instagram photos easier for you. Do tag me on Instagram using @livingabstracts so I can see your white flatlays and styled photos.